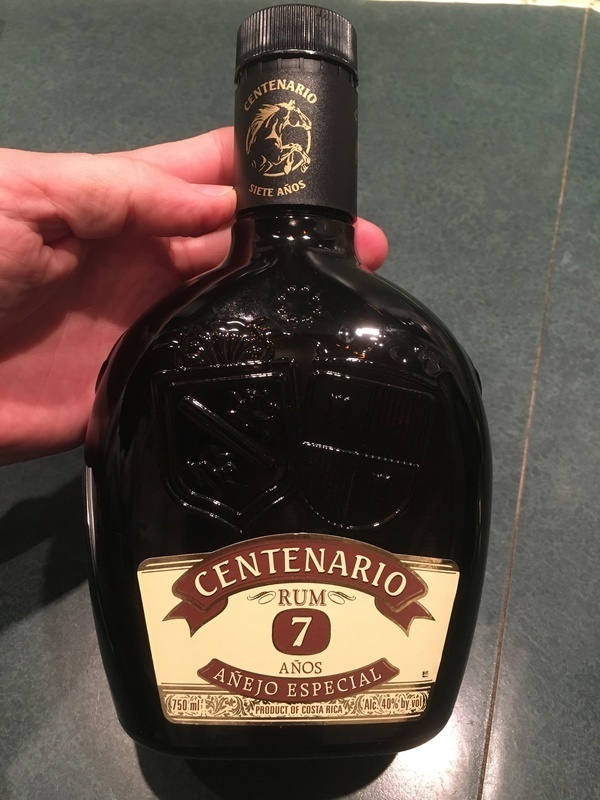 Have you found an online vendor selling Ron Centenario 7-Year? Frankly this is basically the same as the 9-year rum but with a little more of an edge. Just as with the 9-year it has a nice aroma Some little woodiness to it along with a nice vanilla flavor. A little more of an edge to it than the 9-year. I give both a 7 but it's more like a 7.75 for the 9-year and a 7.25 for the 7-year. Not much difference between the two. Whereas the 9-year makes for an acceptable sipping rum as well as a mixer, I feel the 7-year is best suited as a mixer and not as a sipper. Other than that they are pretty much twins. Works GREAT in Coke Zero. Generally I like this rum when I go on a trip. As a first aid kid. It is not fancy drink for the evening. Never tried it as a mixer but I'd guees that would be great. Ničím nezaujal, sladší, možno až príkry, nevýrazný. Not and a bad rum. Light Amber color in the glass. Noise is Light carmel and molasses with a little paint thinner. A touch of sweet on the front with a kick in the back. Mixes well with a little ginger ale. The Ale smoothes out any rough edges. Only down fall is the weird valve that is annoying when pouring. Why? We discovered Centenario in Costa Rica (okay, they pushed the Hades out of it, and I'm glad for that). The 20-yr version tastes more like a mixing rum and this, to me, tastes more like a sipping rum. The 20-yr is nearly gone while this little bottle is still mostly full - I'm not much of a sipper. 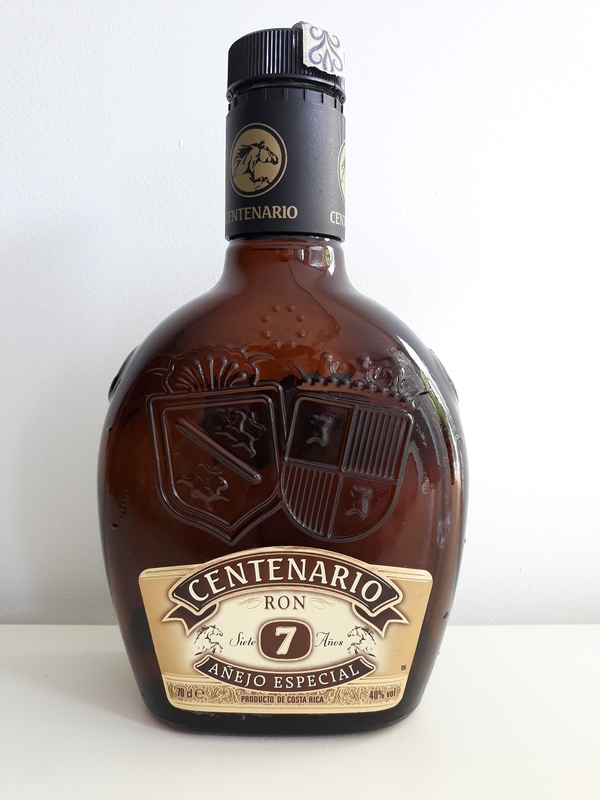 Ron Centenario 7 year old is easily available in the US. The initial flavor turns into whisky like very quickly. The 7y is dry and woody, with some afterburn at the end. Easily available in liquor stores if you are into whisky like rums, but this is not my kind of rum. K sedmiletému Centenario jsem se dostal náhodně. Dostal jsem tuto láhev jako dar a jsme za to rád, jelikož bych litoval této investice. Centenario - 7 Year mi připadá strašně mdlý, bez jakéhokoliv náznaku vůně a chuťě. Pro mne obrovské zklamání. Nice aroma, first taste is on dry side, bit burning, with bouebon aftertaste. Good "standard" also perfect for mixing. For the price and if your looking for a good mixer to boost the flavor of your cocktail, you can’t go wrong with this rum. The complexity is starting to develop, however, with more time in the Cask the smoothness and flavors will really shine through. Just had a couple of neat nips of this. Moderate flavors but goes down well. The bottle I bought is a 7 year anejo especial. It was priced at around $21 per bottle. Still puzzled by the bottle shaped like a traditional fifth, unlike the short squat bottle shown on display. If you look for good example of resonable rum for good price that's that. Easy drinking, good with coke, ok on the rocks. I finally got my chance to try a rum from Costa Rica. Since this distiller has mixed reviews on this site, I did not want to spend too much on my first try. I was hoping to find the 12 year old, but that one was not available. This 7 year old was only $18 and was basically a no brainer to buy. The aroma is of subdued alcohol only, but there is no burn on the tongue or going down the throat. Super smooth, but not enough complex flavors to satisfy rum sippers. Whiskey drinkers could use this one as a gateway to the wonderful world of rum. There appears to be no added sugar. If the price is right, I would risk the bucks on other rums from this distiller with higher aging. As for the bottle, it has been redesigned from the teardrop shape shown here. It is now tall, slim, and cylindrical like the 25 year old. This is a very good thing because it now takes up less room on the shelves of liquor stores and encourages them to carry it. As avid rum collectors already know, don't ever be fooled by the fancy shape of the bottle that tries to hide an inferior product within. Od tohto producenta rumu je to moja prvotina, nečakal som nič extra a to sa mi aj potvrdilo. Avšak treba skúšať rumy aj z iných krajín a od iných výrobcov, no tento ma nepresvedčil, možno je to tým, že sa jedná o 7-ročný rum a ten nie je tak "odležaný" a neprekvapuje škálou vôní a chutí. Fľaša: tak precízne prepracovaných fliaš nájdete len veľmi málo, každá strana Vás niečím prekvapí, ide najme o rôzne vystupujúce časti ako erb, alebo akési stopy stekajúcich kvapiek po fľaši. Od svojich starších súrodencov sa líši najmä tým, že prevedenie fľaše je lesklé a nie matné. Vôňa: musím povedať, že vôňa je silná alkoholová, cítiť však aj karamel, preráža vôňa dubového dreva a niečo sladké k tomu. Chuť: po ochutnaní je ostrá chuť zaoblená do jemne sa rozplývajúceho pelendreka, aníz, sladké drievko. Zakončenie je krátke ale výrazné. Záver: ako som spomínal na tomto rume ma zaujala najmä fľaša, zaujímavejšia je tu skôr chuť ako vôňa. Možno by sa hodil ku miešaným nápojom ale ja mám rád skôr niečo, čo je aromatickejšie, kde sa prelínajú rôzne chute a vône. Buen ron para tomarlo combinado o en mix.Ideal para cocteles. El ponerle 6 no significa que sea malo, es bueno pero para mezclar. It’s golden colour and light smell is inviting. It is not very smooth but not too harsh either. The after taste is woody with a little caramel, not bitter. 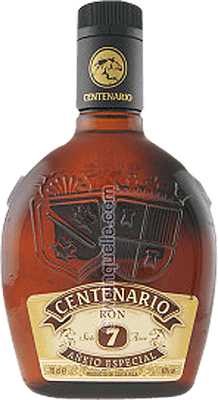 My first experience with Centenario and not exactly the best one. Probably better as a mixer. I tried this side by side with the Centenario 9 year and the 12 year. Though I feel the 12-year is best, I prefer this to the 9 year as it is sweeter and tastes better to me. Smells and tastes of sweet caramel and brown sugar. Very simple, but good; and it's a bargain for the low price of only $17.99 (2017 price)! I bought this on my first trip to Costa Rica several years. I believe it was $10. I bought it to mix with fruit juices, 7-up, and coke. I remember I really liked it. So one night, I tried it by itself as a shot. It was the best shot of rum I had ever had to that point. So then I tried it neat. And I was surprised I coh I'd enjoy it by itself. Now I am a kind of a rum guru thanks to this rum. Try to 20, 25 and 30 year of this brand. Those are 3 of my top 10 rums out there. This is a great CHEAP rum.